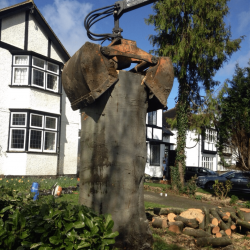 If you need expert advice and tree surgery services in Croydon, Purley or Wallington, then look no further than DH Tree Services in Surrey! 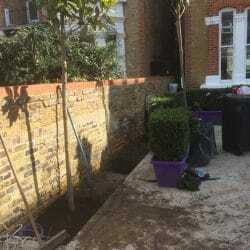 We are an established, professional and local tree surgery and garden maintenance company known for our friendly and reliable approach. 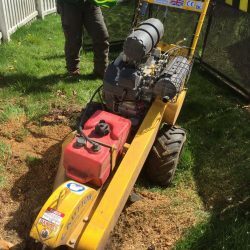 From tree stump removal and tree reduction, through to tree cutting and tree felling, we can help with your tree and garden maintenance queries, however large or small. We are skilled professionals, experienced in every aspect of tree care. We are known for providing a consistently high level of customer service and customer satisfaction is at the heart of everything we do. We manage the process from start to finish, including completing all background local authority checks to ensure you receive a prompt service. 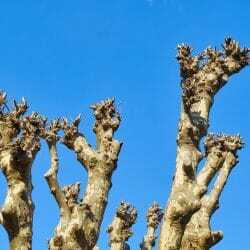 Our fully trained and highly experienced local arborists will advise you about the options available to you, so you can make informed decisions. We work for both domestic and commercial customers, so contact our friendly team today on 01737 215718 or 07872 615504 for a free quotation. Tree felling can be required for a number of different reasons, such as diseased, dead or unwanted trees. 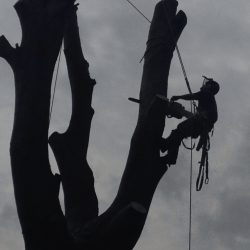 Our arborists are highly experienced and well equipped to carry out tree removals in your local area. 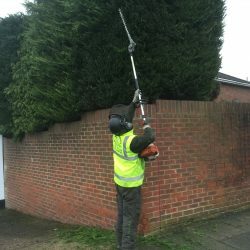 By using the latest tree felling techniques, we can safely remove trees in busy areas with minimal disruption to you and your property. Sectional/section tree felling: This is removal of the tree in manageable sections and is most likely when the tree is in a confined domestic space, where there is a risk of either damage to your property or harm to public health and safety. Staff and grounds are protected by safely lowering each section of the tree to the ground using ropes. Straight felling: This is the quickest way of felling a tree but requires the space for the tree to fall as one unit. If there is no risk of damage to property of people, we will first ensure the safety of the felling area and assist with wedges and pulling ropes, so the tree is felled in a certain direction. Once a tree has been felled, we are happy to recycle and re-use the waste or can advise you about re-using any non-diseased tree. 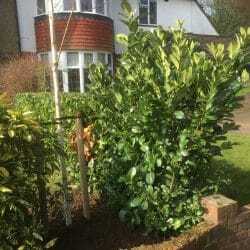 We are also available to advise about new trees for your space and provide a specialist tree planting service. When felling a tree if all the proper checks are not made, then you may be faced with a large fine. 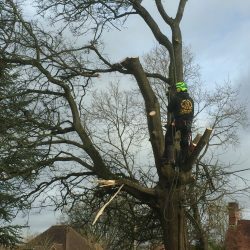 Sometimes a tree felling license is required but we can complete all paperwork for you and will look to see whether it is located in a Conservation Area or has a Tree Preservation Order. Contact our professional arborists in Croydon for tree felling, stump removals, tree pruning, tree removal and all other tree services! 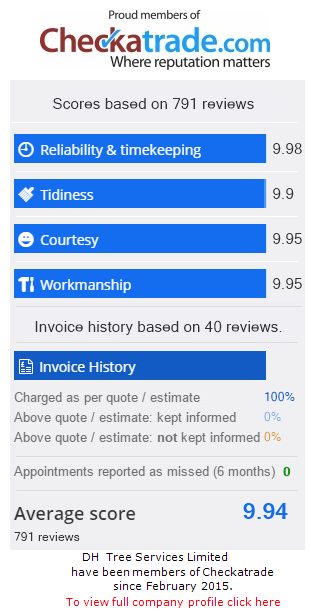 To request more information about our services or to ask for a free home visit and no-obligation survey for any work, please call us on 01737 215718 or 07872 615504. Alternatively you can email dhtreeservices@gmail.com or fill out an online enquiry form and we will get in touch with you.